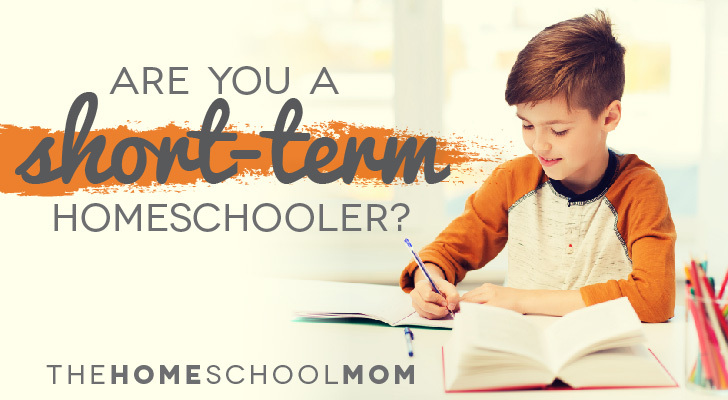 Are you a short-term homeschooler? Some people know they will homeschool before their children are born. Some begin homeschooling after their children spend some time in school, but then they decide to homeschool “forever” — or at least, for years. Others decide to take it “a year at a time,” but the implication is that if it works out, homeschooling will be ongoing. And then there are short-term homeschoolers: people who homeschool for a summer, a semester, or a year, knowing their children will return to school. Many of them consider themselves accidental homeschoolers. What are the reasons for short-term homeschooling? Negative school situation. Parents often want to do short term homeschooling in order to get their children out of a negative school situation that has shown no promise of improvement, despite concerted efforts on the part of parent and child. This can include homeschooling because of bullying by other children, humiliation by a poor teacher, a dangerous atmosphere, poor grade placement, exceedingly long bus rides, or failure of a school to carry out IEPs for children who have special needs. In other words, it’s situational, and parents want to do something else because the current situation is untenable. School refusal. Some kids are so uncomfortable with school attendance that they refuse to attend. Homeschooling may be seen as a short-term measure that can continue a child’s education even as the parent hopes that the child will be willing to attend school in the future. Academic remediation. Homeschooling is efficient and effective. Some families want to homeschool only because their child is considered behind by school standards in specific academic skills or knowledge, and they feel extra time working one-on-one with a parent or tutor will provide the academic boost that is needed. Their plan is to re-enroll their child in school when she or he has “caught up.” Many people who are homeschooling for remediation will take it on as “summer schooling” if not for a full semester or year. If you are interested in homeschooling to remediate academic problems, you will want to read about homeschooling the child who is behind in school. Special needs. Some families may homeschool when their child’s special needs are not being met through a specific school. These parents should consider whether their child is being encouraged to homeschool and pushed out by their school. However, sometimes bypassing a particular school that has been more uncooperative or has fewer resources may be an overall benefit, even if the child will be re-enrolled when she or he ages into a different school. Homeschooling children who have been labeled as having ADD or ADHD may give those kids an environment that is more conducive to their learning style. Parent’s health. When a parent has a serious health problem or terminal illness, maximizing a child’s time with the parent may make a lot of sense. That parent may not be able to be the one who is “in charge of” the child’s homeschooling, but a family may benefit from time spent together during a special few months or an uncertain year. Of course, the adults need to consider the child’s desires and ability to be in a situation that may feature frequent crises, suffering, and hard times. Still, there may be no substitute for having generous time to love one another when time is not going to be so generous in the long run. Child’s physical health. Homeschooling children who have chronic illnesses or serious injuries can make a lot of sense. While public schools do offer homebound instruction, some families find it inflexible and unrealistic, or not enough resources are provided because of a school’s financial limitations. Some families simply switch to homeschooling while their children heal or recover strength. Homebound and homeschooling are distinct and are governed by separate laws; if you plan to homeschool a child for health reasons who was previously receiving homebound instruction, in most states you cannot simply “unofficially slide” from one to the other. You should learn your state’s laws for homeschooling. Child’s emotional and mental health. This has been alluded to earlier — a child who is bullied at school or who is refusing to attend school may have emotional challenges that will be helped by getting them out of the school situation. However, there are also other mental health challenges, such as depression, anxiety, and other conditions which may be difficult to treat when a child is in school. Homeschooling allows a family to prioritize emotional health, even over academic achievement. Reconnection. Related to emotional health, some parents find their children in school are drifting away from valuing family relationships. They spend a lot of time with peers and adults who are not part of the family, and they are busy with friends, homework, or activities — some of which may be positive and some of which may be negative. Parents want an opportunity for their kids to reconnect through generous family time. Behavior problems. Related to the need to reconnect, emotional health, and possible peer dependence, some parents want to address a child’s negative behavior that has been occurring in school. It can be difficult for parents to know the full situation around behavior problems they can’t see. Having a child at home can provide valuable information about the root of behavior issues, as well as time to help a child learn to manage. Some parents see that schools are dealing with many children and may take an adversarial role with kids who do not behave as expected. At home, parents may choose to be allies with their children in helping them learn more positive behavior. Some children benefit from extra time to work with therapists or be in an environment that is less stressful and more likely to reinforce positive behavior. A break. Some parents simply feel that their kids will benefit from a break from regular school. They want their children to have an opportunity to get away from school requirements and constraints, so they can experience a more relaxed schedule or learning dedicated to their own interests. Parents might sense their child is losing touch with authentic interests or burning out from having nose-to-the-grindstone. They want their child to take a leave of absence and return to school refreshed after a long break, with renewed curiosity. Unique opportunity. Sometimes a special opportunity comes along that school simply cannot accommodate. Perhaps your family is going to travel cross country in an RV. Perhaps a special mentor is going to become available in your child’s special area of interest. Maybe there is a life or learning opportunity that a parent wants to create — or that a child is seeking — that will be unique and valuable. Learning within the family often fits these opportunities far better than attending the same brick and mortar school on the same schedule each day, week, and month. Homeschooling can flex around these opportunities. Frequent moves. Military families and others who know they will experience multiple short-term moves sometimes choose to homeschool during the period when they expect the most transitions. While they intend for their children to attend school in the future, they believe their children will do better with the consistency of homeschooling through the physical moves, rather than starting over at multiple schools within several years. Read more in my article about homeschooling and moving. Natural disaster. Schools are not immune to hurricanes and fires. While communities often try to rally quickly to hold classes in alternative locations when schools are damaged or destroyed, some parents prefer to keep their children home until a new school setting becomes permanent. They want to spare the child the numerous transitions or help deal with a child’s anxiety about the hurricane, earthquake, flood, or fire. Some of these reasons for short-term homeschooling may be born of desperation; others may be born of optimism. For some, homeschooling short-term is a decision of last resort — parents do not see another option that is positive for their child, and they are anxious to have him or her back in school as soon as possible. For others, homeschooling is seen as something they’d love to continue to do, but financial obligations or other scenarios block consideration of longer-term homeschooling. In all cases, parents should be aware of the limitations of short-term homeschooling, even as their children may also reap some potential benefits. We’ll look at some of that in my next article about short-term homeschooling. In the meantime, if you are considering short-term homeschooling, you can know that other families are also homeschooling for a specific duration, although their reasons may be different. Many people meet their children’s educational needs with an interlude of planned homeschooling even though their children will spend most of their years attending public or private school. And beware: some short-term homeschoolers I have met during my twenty years of homeschooling have ended up homeschooling a little longer than expected! You never know. Hi. We live in Georgia. I’m having trouble finding a free online homeschool program that will allow my son to complete the 2nd semester of 8th grade. A lot of them won’t allow enrollment mid year. The ones that do aren’t free. Any suggestions? A lot of homeschooling is not done through “enrollment” in a program. When you “enroll,” you are going to be subject to fees and enrollment policies such as what time of year new students are admitted. 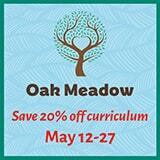 Many homeschoolers help their kids learn at home without any kind of enrollment. They may purchase a curriculum or learn how to use an approach to homeschooling that does not require a curriculum per se: kids might read books, do projects, and follow their interests instead of enrolling anywhere or using a formal curriculum. Additionally, most homeschoolers don’t divide their year into semesters or terms at all. Some don’t even use grade levels (because kids may be doing 7th grade work in one subject but reading at a college level and doing 10th grade chemistry, as an example). It sounds to me like you are looking for a specific program that would replace school for one semester. If your child is definitely planning to return to school at the end of 8th grade, is it possible that your school division has a public-school-at-home program that would fit? Many of those programs are NOT legally “homeschooling” (it depends on how your state law is written), but because of that, they may be funded by the school, which provides computer-based learning paid for with their dollars. The downside to this is, there is much less flexibility than with independent homeschooling. And yes, that might include only accepting students at the beginning of the year. If your child is homeschooling really short-term, you may want to use the books he would have otherwise used in school. Some parents are able to borrow books from the school division or get a list from a guidance counselor and then find the books online. Easy Peasy homeschool is a free online Christian curriculum that has an 8th grade option, but as far as I know, it doesn’t divide itself neatly into semesters in the way you may be thinking. While it may not matter for 8th grade, and it does not matter for those who homeschool for high school, be aware that in many states, learning done at home during the high school years (grades 9, 10, 11, 12) does not have to be acknowledged if a student returns to public school. This can affect 8th graders if they are doing algebra or foreign language, which are commonly offered to 8th graders for high school credit. If your son is doing either of those in 8th grade, you will want to find out EXACTLY what your school division wants done for those classes if he’s expecting to earn high school credit for them. 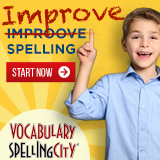 A free online homeschool program may not be acceptable to the school division when it comes time to awarding credit. (Someone who is homeschooling through all the years of high school doesn’t have to worry about this; someone who is returning to high school and expecting to graduate from public school DOES have to consider this). I have a first grader, a kindergartner, and a preschooler. I used to be a high school teacher in private school, but I am very unfamiliar with the public school system which my kids have recently entered. We have the unbelievable opportunity to travel frequently, made possible by the flexibility of my job and my husband’s, as well as the adventurous spirit and generosity of my parents. So here’s my question: rather than run afoul of the state’s attendance laws each year (Tn), is it Possible for me to homeschool my elementary aged children for part of each school year? In other words, could they spend the first semester each year in school, and then be homeschooled for the second semester so that we can also travel for extended periods each spring/summer? And if so, What steps would I have to take to do that? From a homeschooling point of view, this is certainly potentially possible. You would need to check your state homeschooling laws to see if they allow mid-year withdrawal to homeschool and what that procedure is. In many states, you can begin homeschooling any time of year. The best source of information about homeschool laws is your state homeschool organization. It’s possible that some administrators at your kids’ school would see the benefit of the amazing travel, or it’s possible that they would see an annual un-enrollment to homeschool as negative or even just an administrative task that is a pain in the neck for them. I suggest you speak with them to find out whether they might “hold it against you” even if they are legally required to cooperate with multiple enrollments and unenrollments. Then you’d just have to decide whether that will have a negative impact on your kids during the time they are in school. (For example, they might not get a favored teacher or be enrolled in certain programs). It may help you to know that many families do move back and forth between homeschooling and public education multiple times for other reasons, including changing family situations, health crises, and individual childen’s development. Your reason for doing this would be different, but the steps you would take to make it legal would be the same. The travel sounds wonderful when considering the experience, educational value, and connections your kids would build with you and your husband. You may find the transitions into and out of school go smoothly for the kids, or you may find they struggle with the freedom to learn without school for part of the year and the constraints of school the other part of the year. Or they may love the schooly aspects of school and move into it refreshed and ready for a school approach to learning. The travel sounds like a great opportunity, and I can promise you that most homeschoolers wouldn’t think twice about taking advantage of it if they could! Hi i was wandering if i could homeschool my daughter shes in 8th but not doing good with her having adhd? Homeschooling is legal in the U.S. for all parents and kids, in every state, so yes, you CAN homeschool your daughter. Homeschooling does help with ADHD. Since she is in 8th grade, you should look into the special circumstances of homeschooling for high school. To homeschool, you need to be able to understand and follow the law in your state, and you need to be able to read and use the resources for getting started with homeschooling. We call that Homeschooling 101. Good luck helping your daughter with her education! She is fortunate to have a concerned mom who is looking at all the options. My daughter was being home-school through the school district in WA. On April 27, 2018 I informed the school in person and by email that I am withdrawing my daughter from school. My father had surgery and has experienced some complications. I am currently out of state and helping with the care of my father. I filled a private affidavit with the state of California even though this is temporary. When my husband went to request my daughters records the school tried to have him sign a form that she is being home school in WA. Even though he told the school staff why I am out of state. The next day my husband called to inform me that school sent a certified letter saying that my daughter is currently truant and the school district has started the truancy process. Since I am currently in California and have complied with Ca home school laws. Does Washington have any jurisdiction to continue the truancy processes or is this a scare tactic. I did email the school and requested my daughters student records as the principal of the private school I created. Any advice that can be provided is much appreciated. I am not qualified to offer legal advice, but from a layperson’s perspective, I’m guessing that this may be a problem of “residency.” In general, we homeschool under the laws of the state in which we officially reside. Visiting someone, no matter what the reason or even for an extended period, does not mean we homeschool under the laws of the state we’re visiting. We homeschool under the jurisdiction of the state where we live. If you want to homeschool under California’s law, you may need to treat the situation as a move rather than just a withdrawal to homeschool. From your school division’s perspective, your daughter is neither in school nor is she homeschooling under your state law, which could equal truancy from their administrative point of view. Showing evidence that you are homeschooling under a different state’s laws may not be sufficient – and essentially the school division action is telling you it is not sufficient for them. You may have to show you have moved out of state and established residency in your new location. Another option would be to file the paperwork to homeschool legally in the state that is your official residence, in this case, Washington. I’m not an expert on either states’ homeschool or residency laws, but in general, a “temporary” stay in another state does not make you unaccountable to your home state’s education requirements. All this said, truancy is a legal situation, and you should consult with an attorney if you need legal advice. I’m sorry to hear about your dad’s difficult recovery, and I know that combining caregiving and homeschooling is challenging. I hear that you felt you’d be following the law by homeschooling the California way while you are temporarily in California, and I’m sure that dealing with blowback from that was unexpected. Best wishes for working all this out. is it possible to finish ninth grade in 3 month? How long homeschooling takes depends on the approach you take to homeschooling and whether your child is already accustomed to homeschooling. Not all homeschooling “looks like” school. In fact, some people do not even separate homeschool years into “grades,” although short-term homeschoolers most often do. However, it’s important to keep in mind that short-term homeschooling during the high school years may NOT result in credit that will transfer BACK to public high school. Public high schools often do not give credit for work done at home. So yes – it’s possible it could be done – but you need to be sure it would serve your purpose. My daughter has one semester of 8th grade left and I want to homeschool her this last semester. Is this possible? There are a few things to consider. Many 8th graders are taking several classes for high school credit. These are most commonly algebra and foreign language. If your child is enrolled in high school classes in 8th grade, and you withdraw to homeschool, the public school will likely NOT count those credits in high school. You should also consider your state’s laws. Homeschooling is administered state by state, and there are different rules for withdrawing in the middle of the year. Check with your state homeschool organization or experienced homeschoolers to find out what the law is. Be sure you file any necessary paperwork and keep copies, if your state requires that (and not all do). I will be “homeschooling” my almost 3-year-old for approximately one month later this year due to a health procedure (for his father) that precludes daycare attendance and renders a temporary nanny logistically impossible. I understand a toddler is a bit young for “school”, but I am at a loss as to how to keep him engaged day in and day out, particularly when I am also the primary caregiver for my husband. That’s how I find myself here. Are there lesson plans for children that young? Hi Deborah – Since homeschooling is regulated by the state, it is best to turn to state organizations for answers to questions like this. TheHomeSchoolMom provides general resources to homeschoolers, but doesn’t have the resources to answer questions specific to each state’s requirements. Our Indiana local homeschool organizations page might be able to point you in the right direction, but there is no substitute for reading the relevant statute(s) yourself. When you know the law, you are empowered when talking to local officials. Hi, I’m wanting to homeschool my 1st grade special needs son and I’m wondering. Do I have to pay for a home school program like k12? Hi Kristen – Although state regulations vary, you should not have to purchase an all in one program. I suggest getting in touch with local homeschoolers in your area either through social media (Facebook has tons of homeschool groups by locality) or in person groups (you can look on TheHomeSchoolMom for a local homeschooling group). Homeschoolers in your state can give you the best information about meeting your state’s homeschool regulations, but you should also read the statute for yourself for your state. I need to homeschool my child for 8th grade only. He will be going back to regular school for high school. I have signed him up for the I-DEA program but I am looking for a mom who is willing to take on an eighth grader along with her own child/children. Is there a site out there that moms post things like this on? Hi Anne – Sorry I missed this earlier. I would get in touch with local homeschoolers in your area either through social media (Facebook has tons of homeschool groups by locality) or in person groups (you can look on TheHomeSchoolMom for a local homeschooling group). Many local areas have message boards, email groups, and social media groups that would be a good place to ask, and of course you should look into whether your state allows a parent to homeschool children other than their own. Good luck this year!